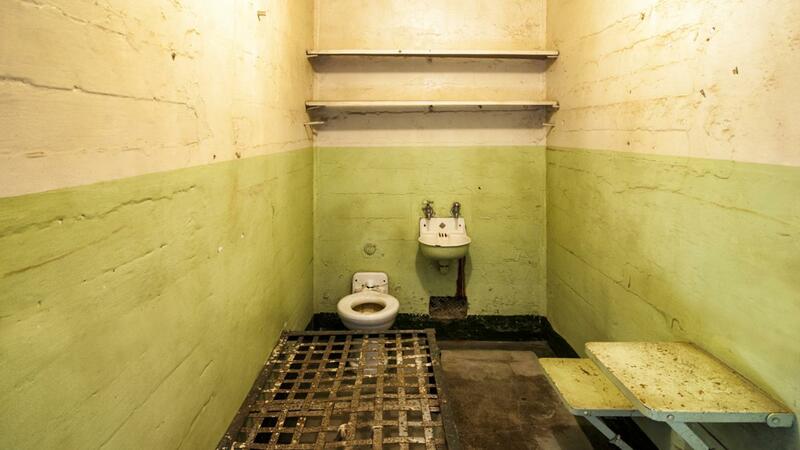 The average size of a prison cell will vary; however, a typical solitary cell dimensions are approximately 6 feet by 8 feet in size. Double occupancy cells are typically larger in size. The average size of a prison cell is difficult to accurately determine because it is based on a number of factors. These factors include the age and size of the prison, the type of cell and whether the cell is a confinement cell. A confinement cell is one that has a steel bar door at one end that keeps the inmate confined to the space. Not all cells in prisons have this feature. How Can You Send Money to Inmates? How Tall Are Cell Phone Towers? How Much Space Do You Need for a 7-Foot Pool Table?